EGI scientist Sergei Turovets is working with Linda Larson-Prior and Fred Prior of the Washington University in St. Louis School of Medicine to develop much needed pediatric head models. The new head models will cover ages 0 to 18. Drs Larson-Prior and Prior have extensive experience with pediatric neuroimaging. EGI brings dense array EEG (Geodesic EEG System 300), electrode impedance tomography (EIT), and 3D sensor position measurement (Geodesic Photogrammetry System) to the project. Together the team will build head conductivity models for infants, children, and adolescents. EGI customers continue to demonstrate the superiority of dense array EEG (dEEG) compared to conventional EEG. This comparison is illustrated in EGI’s recent article ‘2009 Clinical Year in Review’ in which we looked at a number of landmark publications on recent epilepsy studies. In many cases, clinicians worked to identify the epileptogenic region by mapping the scalp EEG data onto the cortical surface of the brain. This process of solving the inverse problem requires a comprehensive understanding of the forward solution. Pediatric Head Models Work begins on new head models. Experiment Control Options Explore your experiment control options. 2009 marks EGI's best year yet. Join EGI for a free EEG/fMRI training workshop in June. Analysis Environments Work with the package of your choice. Education EGI offers training courses in many countries. BCI with EGI New integration with BCI2000 will stimulate research projects. Where to See EGI Conferences and events around the world. Dr Cathrine Dam joins EGI's sales team. The TTL method is a quick and easy way to get basic stimulus information into your EEG data stream. EGI's Net Amps 300 has 8-bit digital input. By controlling which pins are active, you can achieve 255 event types to indicate different stimulus actions such as stimulus A onset, stimulus B onset, and fixation. Most stimulus presentation software packages have TTL functionality built in. For a more robust solution, we offer Net Station's ECI. Using a TCI/IP connection and NTP for accurate timing, you can send a rich event structure, including metadata, directly into your EEG file. For nearly a decade, EGI has worked with Psychology Software Tools, Inc. The current generation product is our E-Prime Workstation 2 NTP. With this setup, E-Prime controls your recording file to initiate, start, and stop recording. The event data includes not only the type of stimulus, but also information on the participant's response (if any), the response time, the response evaluation (correct/incorrect), and more. 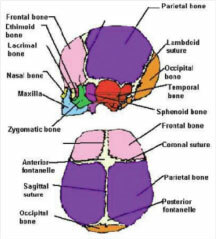 This information can be used to score the trials and perform advanced analysis. EGI offers both experimental control options to support most research methodologies and budgets. Despite challenging economic conditions, 2009 was EGI’s best year ever. Net sales were $8.2 M. Total revenues reached $9.5 M, with a modestly profitable bottom line. This strong performance represents a 10% growth in sales over the prior year. International sales, particularly in the European Union and Asia, rose sharply and accounted for approximately 50% of EGI’s total net sales in 2009. Important to EGI’s strong momentum in 2009 was the announcement of a number of new products, including GES 300 MR, which is the world’s first truly high channel count EEG system for use in MR environments, and the new GEM product line for ambulatory and routine EEG applications. Critical to EGI’s success is the success of our customers. In 2009, EGI’s clinical and research customers published their work in more than 150 articles in peer-reviewed journals. Particularly exciting was the growth in the number of clinical publications employing EGI technology in core clinical applications, such as epilepsy, presurgical planning, and autism. Join us on Monday, June 7, for a free EEG/fMRI workshop. This event is being held in Barcelona, Spain, in conjunction with the annual Organization for Human Brain Mapping (OHBM) meeting. For more information and to register, see our Education page. Net Station exports data files (EEG and events) to a number of formats, including EDF+, .mat, and Persyst. Want to bring your data back into Net Station for source estimation with GeoSource? Simply import your EDF+ file back into the Net Station environment and you are on your way. While we at EGI are partial to our own Net Station software, we realize that our customers want to be able to use the software package of their choice. Therefore, we are working with other companies to ensure that common file formats are well supported. EGI offers a number of educational courses each year. EGI's research training course in Germany (May 10-15) is a six day course. Dates will be announced soon for similar courses in the United Kingdom and China. 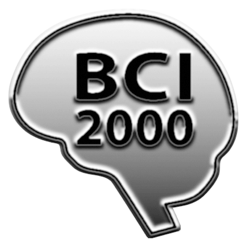 EGI is working with the creators of BCI2000 to offer a robust Brain Computer Interface (BCI) EEG system. EGI's Geodesic EEG System 300 streams EEG data to BCI2000 using Amp Server Pro SDK. Use BCI2000's existing study/feedback paradigms or connect in real time with applications over the network. We are pleased to announce the latest hire to our growing EGI sales team. Dr Cathrine Dam is a published neuroscientist, and brings clinical experience as well as a broad range of technical skills across various ERP and fMRI systems. She has worked in both academia and the private sector, and has a strong sense of commitment to customer satisfaction. Please join us in welcoming Cathrine to our EGI Team of Sales Account Managers. Interested in an exciting career with EGI? See our Employment page.